Part number cruncher, part financial adviser and part regulatory specialist, accountants are responsible for tracking and managing an organization’s money. These professionals need to know how to do everything from understand a balance sheet to create million-dollar operating budgets to prepare reports on assets, liabilities and profits. 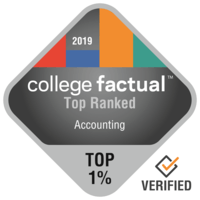 Our Accounting degree is well established as one of the best accounting programs in the country — in fact, we were founded in 1917 as the Bentley School of Accounting and Finance. We start by giving you a firm understanding of accounting principles and practices, and then teach you how they are applied in the real world. Regardless of the emphasis you choose, our accounting program gives you a core of technical knowledge that provides you with a complete understanding of the design, implementation and review of a fully automated accounting system.